Harvard University announced it has received the largest gift in its 379-year history from New York hedge-fund manager John A. Paulson, who donated $400 million. The donation is one of the biggest gifts to a US university ever made. The extremely large donation will endow the School of Engineering and Applied Sciences, which has been renamed after Paulson. The Harvard John A. Paulson School of Engineering and Applied Sciences, (SEAS) established in 1847, has undergraduate courses in biomedical engineering, mechanical engineering and electrical engineering, and a master’s program in computational science and engineering. For Paulson, the donation is a gift to his alma mater. He graduated with distinction from Harvard with an MBA in 1980. The university is planning to expand the school with new research and teaching facilities, driven in part by the growth of interest among students, with enrollment up nearly 150 percent. The gift could help support Harvard’s goal of attracting top students in areas like computer science and engineering against one of its main competitors, Stanford University, which has benefitted in part because of its location near Silicon Valley, the Wall Street Journal reported. Paulson, who was an undergraduate and graduate of New York University, founded Paulson & Co. in 1994 with $2 million and one employee after spending over a decade working with Wall Street firms. His fortune was made in 2006, when he bet against the sub-prime mortgage lending market before the it crashed. His firm made $15 billion for from that calculation and personally earned him $4.9 billion, according to Business Insider. Forbes estimated his net worth at $13.5 billion in 2014. 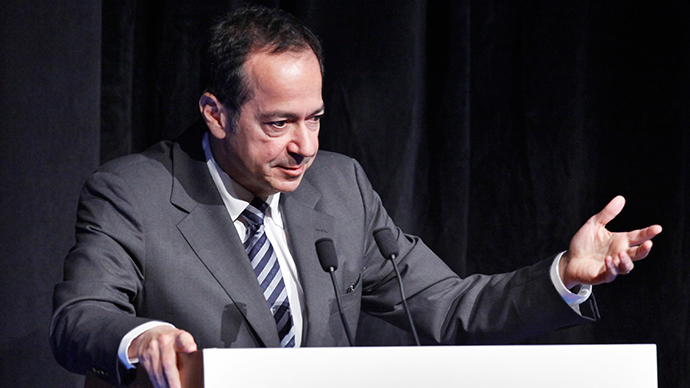 Paulson has made several charitable donations: $20 million to New York University for the business school, $15 million to build a children’s hospital in Guayaquil, Ecuador, and $100 million to the Central Park Conservancy. “Giving this money to Harvard [and] having it invested in engineering is going to have a very positive and profound impact on the world,” Paulson told the Journal.